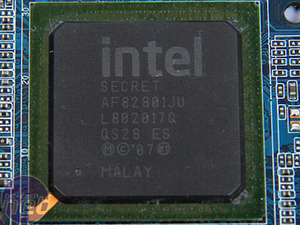 The P45 chipset is a replacement for the current P35, and like the P35 it supports both DDR2 and DDR3, however this time around it's specifically tuned towards DDR3 instead. 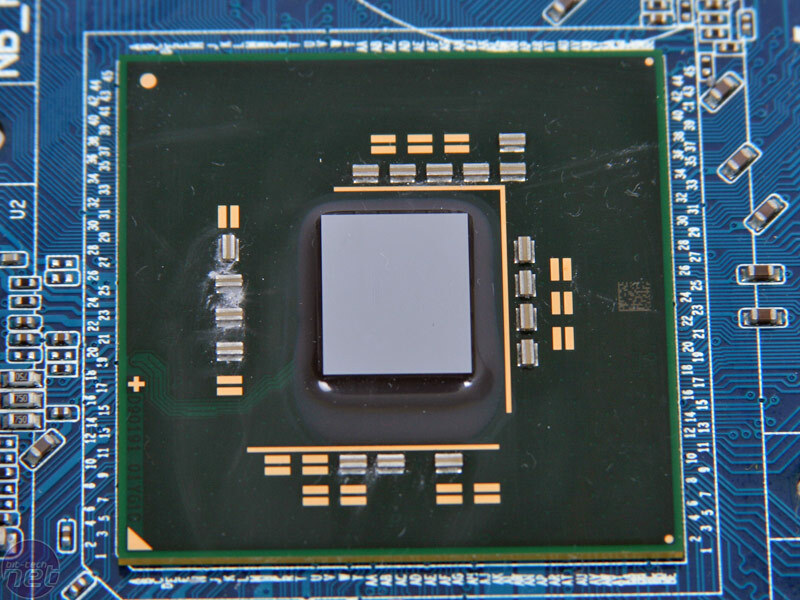 As we'd expected, the chipset also provides better support for quad-core and 45nm processors and is also built on a 65nm process instead of the 90nm previous chipsets used, although Gigabyte did tell us that the overclocking of both should be very similar. We first saw the raw P45 chipset at CeBIT and after speaking to an Intel executive during the chipset briefing, we were surprised to find out that the whole 4-series now uses the 65nm manufacturing process: the P45 silicon is smaller than the P35, but nowhere near as large as we'd expected. 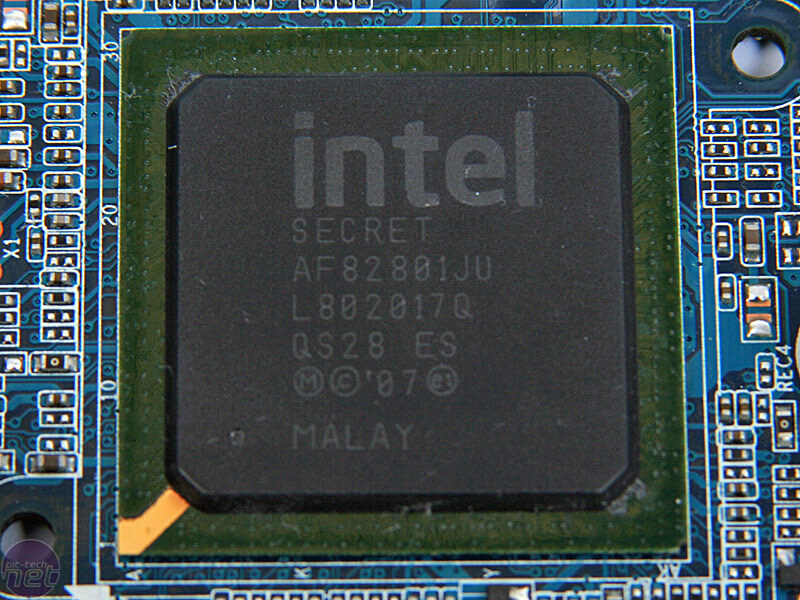 Intel told us that it makes a single chip for both P45 and G45, (and by extension we'd expect P34 and G43 too) but merely locks out certain portions during manufacturing. The last mainstream front side bus chipset should arrive in the next month or so now the PCI-Express bug is fixed on the latest silicon, but it'll have a shelf-life of up to two years, depending on the market take-up of Nehalem. You can probably expect to see derivatives in low cost PCs, nettops and netbooks come 2010. 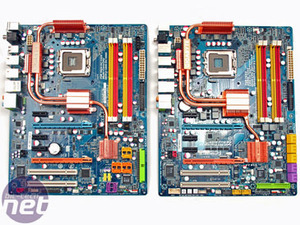 Gigabyte has done a lot to improve the P45's layout over its previous P35 board – while we loved the DS3R, other products like the EP35-DS4 (pictured right, on the left of the two) had compatibility problems with the SATA ports. 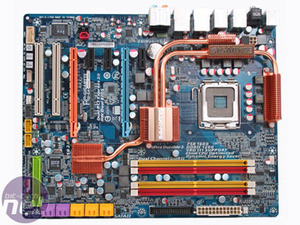 The P45-DS5 fixes this by making all the SATA ports at 90 degree angles to the edge of the board so they don't conflict with longer graphics cards. 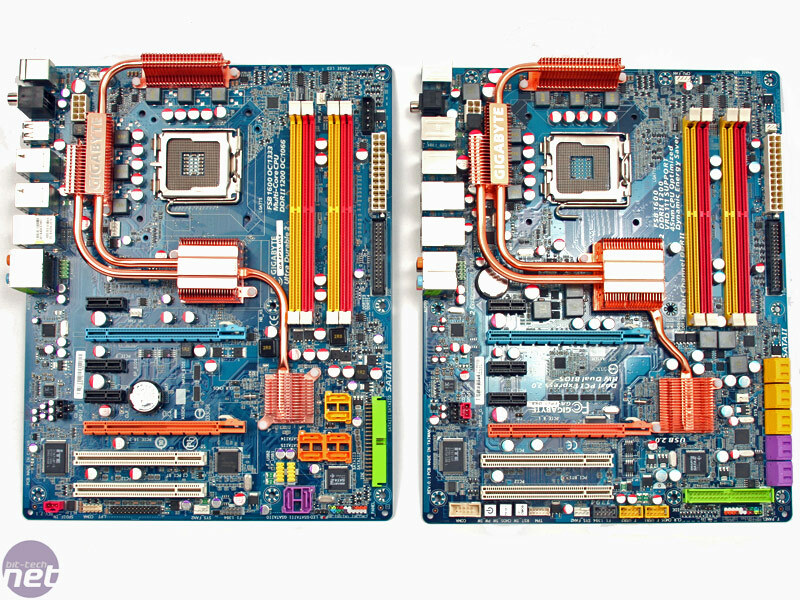 In addition to this there are now ten SATA ports – four of which are from a Silicon Image chipset. While the RAID can't be combined with the new ICH10R southbridge, they all offer NCQ, ACHI and eSATA support. The Gigabyte branded JMicron chipset provides the IDE port which is still missing from ICH10, like it was from ICH9, and even though the IDE port is awkwardly placed right down the bottom of the board it shouldn't matter too much since there's oodles of SATA for optical drives. 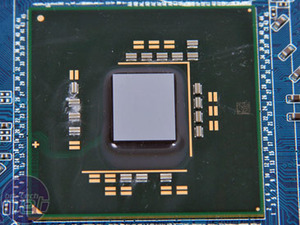 The DS5 shown here is DDR2 only and supports "up to 1,200MHz" according to Gigabyte. 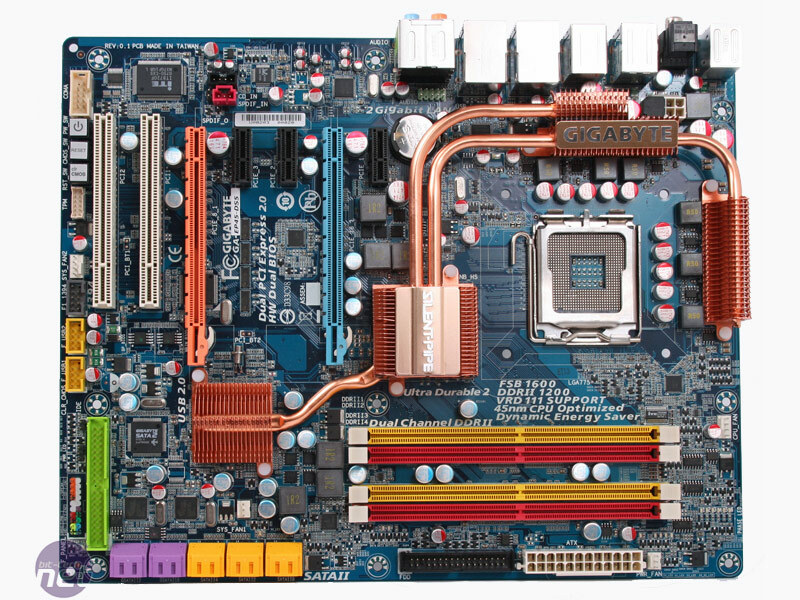 If the current P35 range is anything to go by, expect DDR3 and mixed DDR2/DDR3 boards to pop up as well. Even though Gigabyte says the overclocking of the P45 and P35 should be similar, clearly Gigabyte are tailored its P45-DS5 for some serious overclocking: it features six phases of CPU power regulation, two phases on the northbridge and two phases on the DDR2 memory slots. We also love the new on-board power, reset and clear CMOS buttons that are almost identical those used on the Asus Republic of Gamer series motherboards.